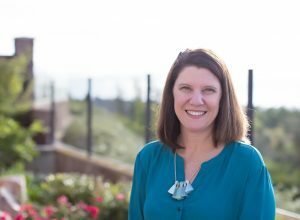 OCA of San Diego was Co-founded by Kathy Hagan who lost her mother to ovarian cancer. OCA of San Diego implemented the Ovarian Cancer National Alliance’s Survivors Teaching Students® Program (click here) at UCSD School of Medicine for Third Year Medical Students in December 2008 and further expanded the program to currently eleven schools of nursing throughout San Diego County. In 2013, Ovarian Cancer Alliance of San Diego launched an innovative program HEAR™ (click here) to inspire women to be aware of their bodies and be their own advocates to get care in a timely fashion. This is but one example of how patients are becoming a vital part of medical treatments and partnering in such a beneficial way that can change the healthcare system! Kathy Hagan, Co-Founder/President was touched by ovarian cancer when her mother died of the disease in 1999. Several years later, Kathy attended an ovarian cancer conference in Washington DC and realized that although some progress had been made in treatment, women were still generally unaware of its symptoms. 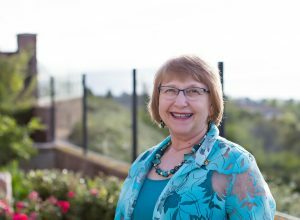 As a result, she worked with Peg Ford, whom she met through the conference, to create what eventually became the Ovarian Cancer Alliance of San Diego. 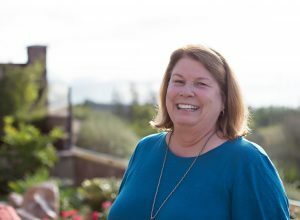 As the daughter of an Air Force officer, Kathy grew up in England, Germany, and Illinois where she taught high school German until she married and moved to Encinitas, where she has lived since 1977. Margaret Gerdeman, Vice President, is a stage III ovarian cancer survivor since 2014. 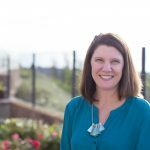 She is dedicated to volunteering in the community, local schools and Ovarian Cancer Alliance of San Diego. She was an elementary school teacher until deciding to be a stay-at-home mom to her two sons. Margaret enjoys swimming, the beach and being outdoors with her family. 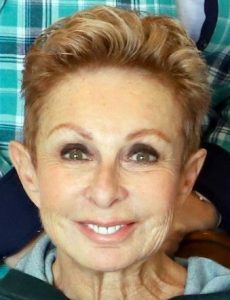 Cindy Silver, Secretary, is a native San Diegan, a 9+ year Stage IV ovarian cancer survivor, and a very proud Wife, Mom, Grandmother and Great Grandmother and grateful that most of her family lives in the area. She met the love of her life, Stan, in 1985. In the early years, she was a stay at home mom, who ran a machine shop in her garage! 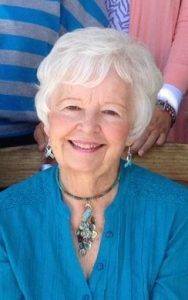 During the 1980’s she took up guitar, banjo and upright bass and played Bluegrass music all over San Diego County and started her accounting career. She loves gardening, needlework and NASCAR! 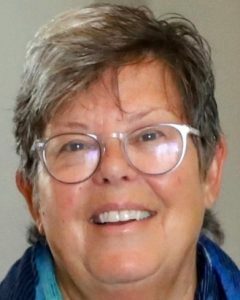 Barbara Horton, Director, a native of Wisconsin, moved to San Diego, in 1968 for a one-year adventure where she met her husband Bill soon after and resides ever since. A former Licensed Vocational Nurse with a specialty of operating room scrub nurse, she gave up active nursing when pregnant with boy-girl twins. When the children were in school she worked for the San Diego Unified School District with children with learning differences, retiring in 2009. Barbara is a 25 year survivor of stage 2B grade 3 ovarian cancer. Debbi Krass, Director is a two year survivor of Stage IIIc Uterine Cancer. She and her husband, Gordon, have two sons, two lovely daughters-in-laws, and two grandsons. She is a retired elementary school teacher who is very involved with volunteering in her community. Debbi loves to travel, read, and is enjoying her new hobby of knitting! We invite you to get involved and become part of Ovarian Cancer Alliance of San Diego!!! Email Volunteer@ocaofsd.org for more information. OCASD has been making presentations to numerous community groups since December 2008 when the first presentation was made to 16 third year medical students at UCSD School of Medicine. Since that time numerous presentations have been made to the medical community, community groups, civic organizations and the general public in order to expand awareness of the factors to look for with Ovarian Cancer. 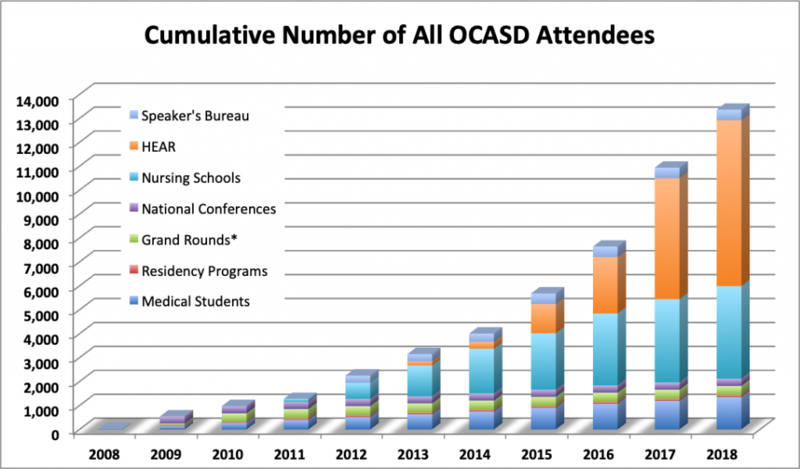 Below is a graph of the truly signifiant number of people reached through OCASD activities!